The GROUND machine is the most popular version in in the UK. 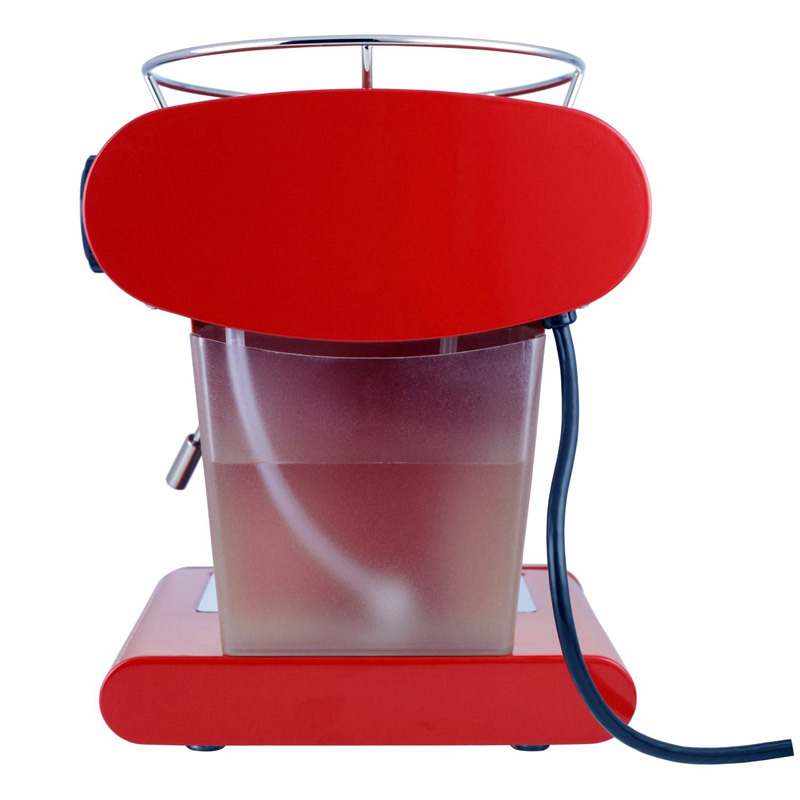 Beautiful, stylish and retro-futuristic looking Espresso Coffee Machine from Italian designer Luca Trazzi. 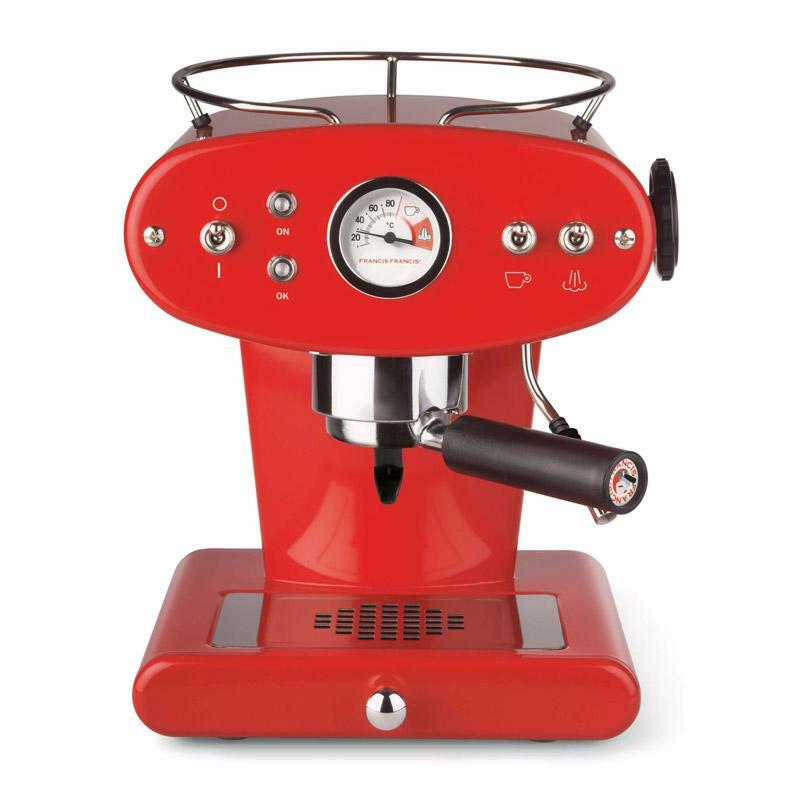 Luca's first espresso coffee machine is widely admired not only for its looks but as a fantastic pump action espresso coffee maker. 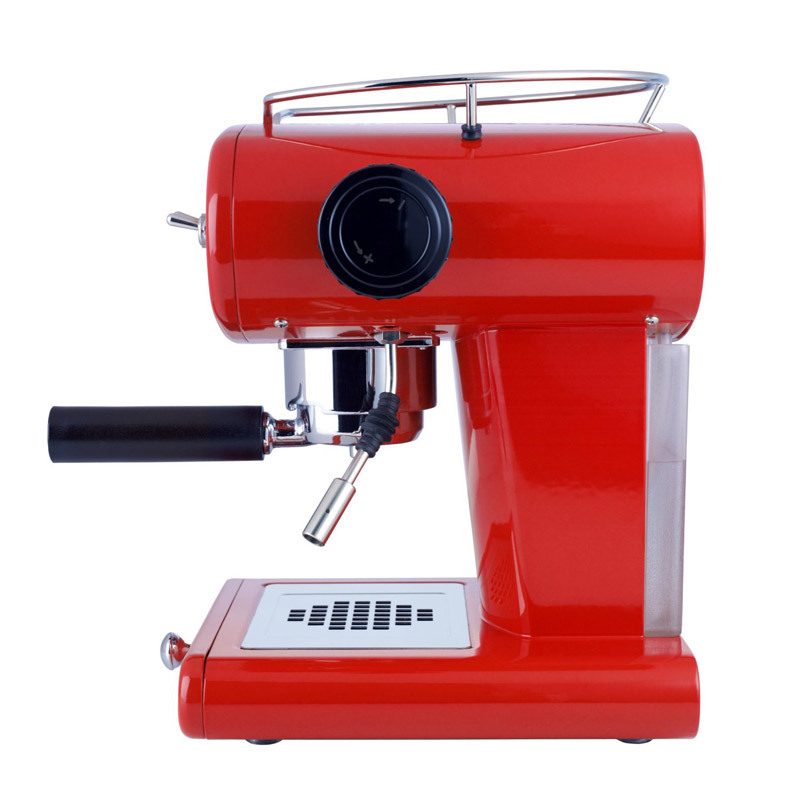 This improved X1 model is for Ground coffee only. It makes wonderful espresso and has a steam nozzle to froth milk for all you cappuccino drinkers out there. Other styles of coffee, based on the espresso shot, can also be easily made:- americano, ristretto, latte, mocha etc. Please note that this is a GROUND coffee machine only and will not take CAPSULES or ESE PODs. Also it is not compatible with either the CAPSULE handle or the TRIO POD handle, these handles are not interchangeable. Please note: Due to warranty issues and the high cost of transport, we are only able to sell machines within the UK.